Data backup is one of the most important aspects of modern computing. How would you feel if you lost a lifetime of photos, all your treasured videos, every important document you own, and your entire media collection just because your hard drive died? Of course, you might get lucky and be able to salvage some content The Best Free Data Recovery Tools for Windows The Best Free Data Recovery Tools for Windows Data loss can strike at any time. We will highlight the best free data recovery tools for Windows to help get your precious files back. Read More , but it’s a risk not worth taking. You need to make regular backups. There are lots of high-quality backup tools The Best Backup Software for Windows The Best Backup Software for Windows Your data is fragile – it only takes one small accident to lose everything. The more backups you make, the better. Here we present the best free backup software for Windows. Read More on the market, but as of last month, there’s another free option for you to consider: Google Drive. The feature is made possible thanks to a new Google tool called Backup and Sync. It lets you choose which folders on your desktop you want to keep backed up. Any changes you make to the folders, and any new files you add to them, will automatically be reflected in the cloud-based version. To start, grab the new tool off the Google website (or from within your Google Drive account). Log in using the account you want to send the backups to. On the next screen, the app will prompt you to choose which folders you want to back up. Click Choose other folder to select a location that’s not automatically available. Make your selection and hit Next. On the last screen, choose whether you want to reverse sync your existing Drive files on your computer. Finally, select Start and the syncing will begin. As long as the program is running, all future changes will be automatically synced. At the moment, the biggest drawback of using the tool is the cost. Sure, the tool itself is free, but Google limits you to 15 GB of free space on your Drive account. If you want to use Drive to back up your whole hard drive, you’ll need to buy more storage. And that extra storage isn’t exactly cheap: 100 GB will set you back $2/mo while 1 TB costs $10/mo (and that’s how much you’ll probably need to back up a full hard drive). 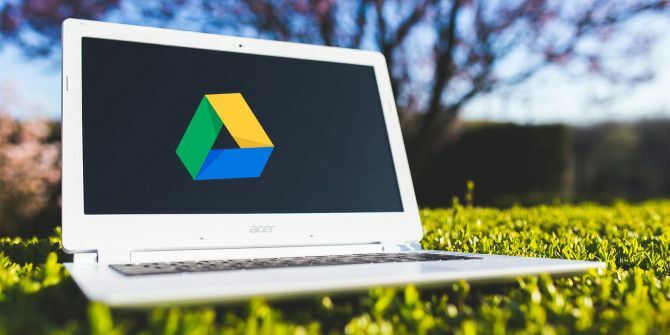 Will you use Google Drive to back up your hard drive, or keep using your own external storage media 7 Things to Know When Buying a Data Drive for Backups 7 Things to Know When Buying a Data Drive for Backups Thinking about buying a data drive for storing file backups? Here's what you need to know if you want to make an informed decision. Read More ? Let us know in the comments. Explore more about: Data Backup, Google Drive, Hard Drive. I pay for the Google storage. You would pay either way for a reliable, could storage service. And it's convenient because I already use G Suite. For example of you were to move a photo from one folder to another on your pc would the sync detect this and mirror it? Similarly if you changed the metadata on a photo would it know this and update the file with the new one? For full backup does it offer more than 1 copy of the file? My WD cloud is pretty good at this but if there was a fire I would probably lose that as well as the PC so this may be of interest. This article has a very misleading title - Google drive cannot be used to back up the *whole* hard drive. At best it can copy your pictures, documents and videos to the cloud, but if your computer dies and you want to recover to a new hard drive please explain how that works. The cloud backup will not contain the programs, registry, operating system and many other portions of the drive that would be required for a full restore. I guess most online backup system dont backup the 'Whole Drive'. For most people, backing up their docs, images & videos is enough. O.S & Apps can be re-installed. So you would agree that the title "How to backup your hard drive..." is wrong. Only a portion is actually saved by Google Backup & Sync. Most proper online backup systems DO save an recoverable image of the whole hard drive. A backup of a hard drive should be sufficient to restore full functionality without having to re-install the OS and Apps.